The top two reasons that WCJ was great for me are the convenient logistics as well as the opportunity to bond with other students from different countries. I was able to be totally immersed and out of my comfort zone in Japan even for a relatively short stay. It also offered me the ability to explore an entirely different culture amongst participants from various countries. I learned more about Japan in one week than I had my entire life. Visiting Japan is very different from experiencing it: Through World Campus - Japan I got to actually experience Japan. The program is a great boundary breaker between foreigners and the Japanese. Through the program I met many new people and established new family members! After spending an amazing 3 week session with this program in 2016, it was a no-brainer for me to join all 3 sessions in 2017 too. I learned so much about Japan. The families and communities are so welcoming and fun! You do everything with a group of people from all around the world, getting closer with them in 3 weeks than you'd ever expect. I have participated in the World Campus - Japan program three times now. I love that we can experience Japanese culture by going into the school and taking part in community activities. Being among people from many countries and living with host families, I pick up new skills every time I participate and I feel like a better person when I go home again. Joining WCI has been a life-changing journey I will treasure for life. Whether it is interacting with Japanese elementary kids or having discussions with politicians and majors, everyday expands ones social circles and cultural understanding. If one is looking for adventure, cultural insight, and fun, then World Campus International is the answer. I’ve been interested in visiting Japan and experience its culture for years. However, I knew that visiting as a tourist would not let me experience the real Japan. WCI has given me the opportunity to try out lots of exciting activities, such as participating in a real tea ceremony and visiting one of Japan’s famous katana swordsmiths. If you are going to Japan next summer, be sure to check out WCI! I couldn’t be happier with my choice to join World Campus. Learning about Japan and its wonderful history was an experience of a lifetime. Each activity we did was new to me and I enjoyed every bit of it. In the program your host families become part of your real family in just one week. I made many new friends I couldn’t have without joining this program and I learned a lot by stepping out of my comfort zone and try new things. In World Campus - Japan you will be able to experience parts of Japanese culture and life which you would never be able to unless you were a native. It is an amazing experience for all those who are interested in Japanese culture or if you want to experience something unique with people from all over the world. We are still accepting applications for the Session 3 of World Campus – Japan Program 2019! Please Apply Now. The application deatline for the Session 3 (Tokyo Area) is on May 31, 2019. Please Apply Now. “The reason I joined World Campus was because it offered an unique inside perspective of Japan. That’s why it appealed a lot to me and to my friends. “Today World Campus Japan took us to Yuipia, where we got to share world views with local volunteers and university students. I’m glad I had an opportunity to meet so many peers from this culture. World Campus International offers you Unique Access to Japan through the program World Campus-Japan, where you not only will have the chance to meet people from all over the world and learn about their culture and values but you will also be able to get to know japanese culture from the inside, becoming part of the family you stay with for a week and contributing to make the community you visit a much better place, and if this is not enough for you, World Campus-Japan also offers you the opportunity to share your culture, values, talents and personality at the end of the week stay at our Arigato Event (Thank-You event), a moment to thank the communities we visit, through music and art. 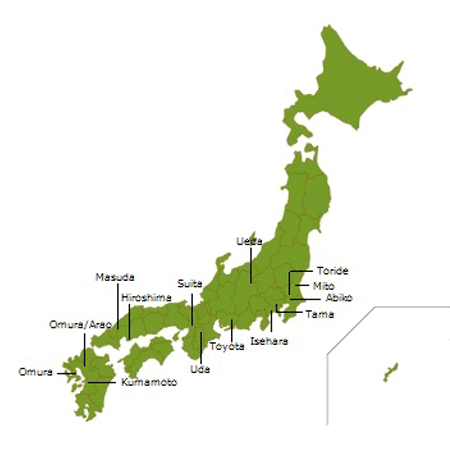 Get to know Japan, its people, culture and values traveling with people from all over the world. Only with World Campus-Japan! In World Campus-Japan you will find participants from over 15 countries. Travel with them through Japan and learn about their cultures, languages, backgrounds, religions and value systems. Learn about the world and Japanese culture through seminars, personal experiences and interaction with community activists and political leaders. 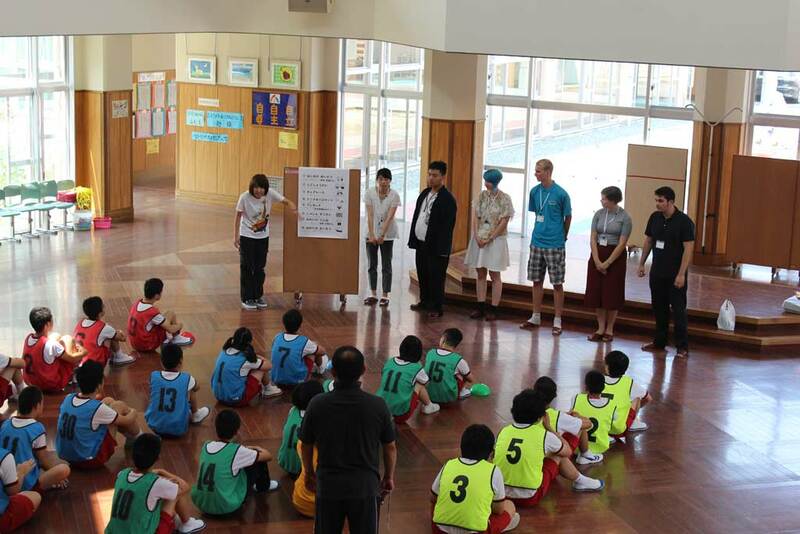 In World Campus Japan we learn by doing, not in a classroom! Traveling in World Campus-Japan you get the amazing pportunity of staying in Local families that open their home and hearts to welcome you into their lives. You will become part of a real japanese community for a whole week. In World Campus-Japan you will lead and participate in activities in which you will have the opportunity to meet members of the community. This interaction develops compassion and gives you skills for your future while contributing to make the community you visit, a much better place. Our Thank you event is a moment for you to show your culture and personality to thank the communities you will visit. Music, Multi-media and art expression are only a small part of this amazing get together with host families and friends. Our activities can vary from year to year, but to get an overall impression check out our participant-written blog and Instagram page! *The above schedule is “Tentative” and the placement of the cities or areas is subject to change. You may apply for one, two or all sessions. Participants get to experience Japanese communities in a meaningful way through a variety of different host families that have different values, perceptions and points of view. This offers an unforgettable learning opportunity when approached with an open-mind, a willingness to share experiences and culture as well as a fun attitude. In addition to spending evenings with your host family, there will be one day in each community visit fully dedicated to being with your host family. There will be visits arranged in each community that allows participants to better understand the uniqueness of a particular host community from a cultural, political, business view or simply for fun. There will also be time designated in the schedule for participants to balance both social times with host families and downtime to rest up a bit, catch up on laundry, or get out on their own. There will be regular "Beginner Japanese" language tips and plenty of opportunities for more advanced Japanese speakers to practice and improve their skills including public speaking as well as in everyday life situations. World Campus Japan participants will have a chance to show off their unique talents and thank their host communities during our weekly Thank-you Event. Preparing for this fun and impactful event requires teamwork and is a chance to really connect with the community. Participants will be assisted by the World Campus International, Inc. team regarding ideas for what is appropriate to bring, including: instruments, traditional costumes, music, art and multimedia tools which will add uniqueness to other event components planned by our staff.